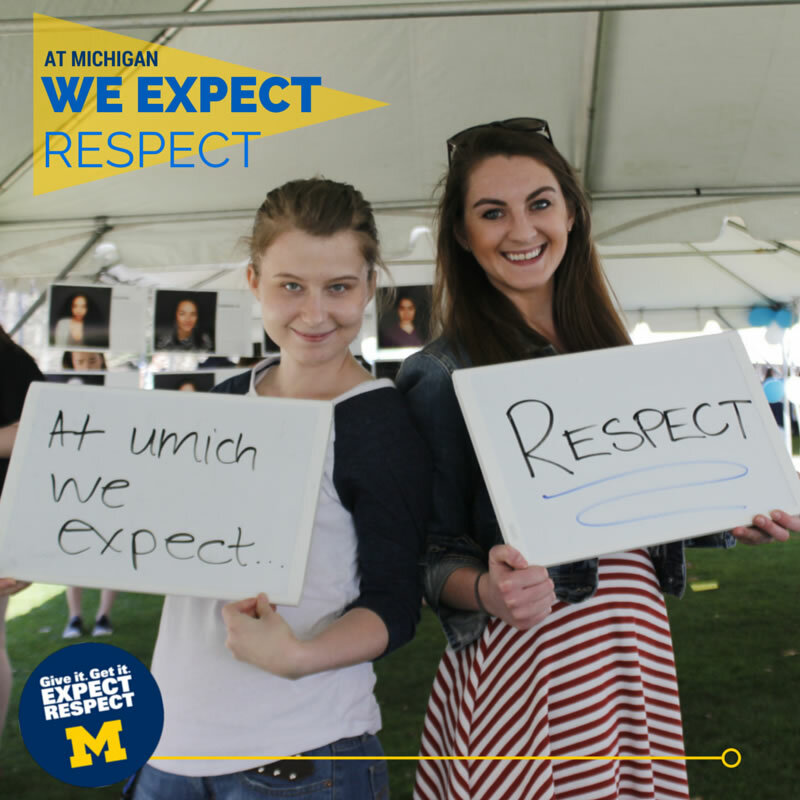 Expect Respect is a unique partnership among students, faculty and staff hoping to unite our community. 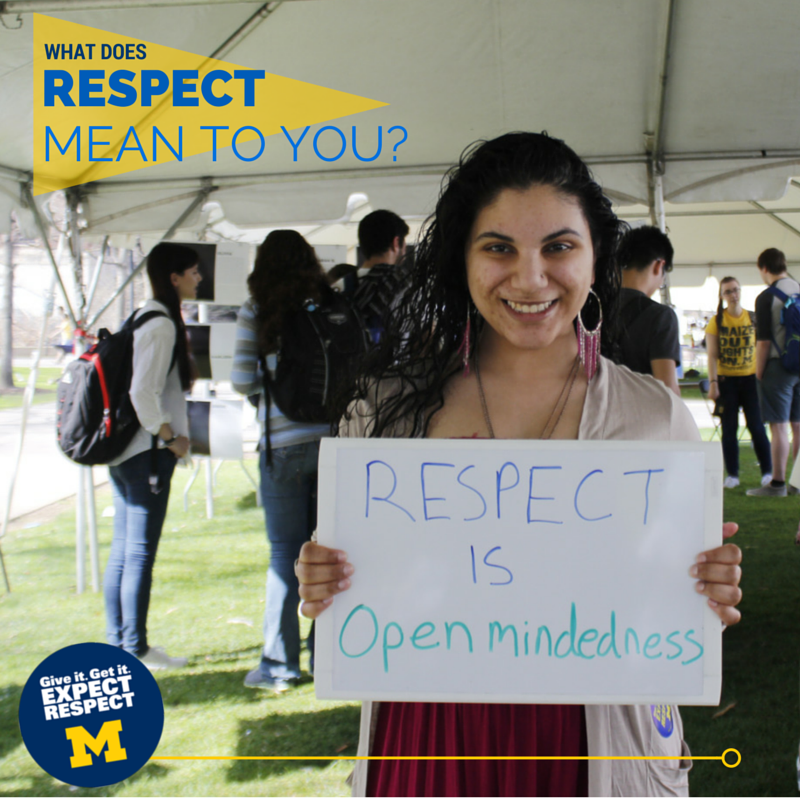 Expect Respect is an educational initiative aimed at supporting a campus climate in which all persons are treated with civility. Community members from across campus have worked together to strengthen our framework of support services for those who have experienced hate crimes. 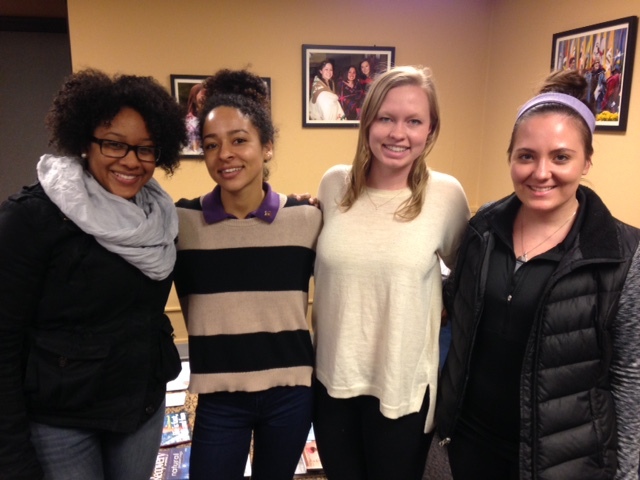 Campus social climate is what determines how comfortable our campus feels. 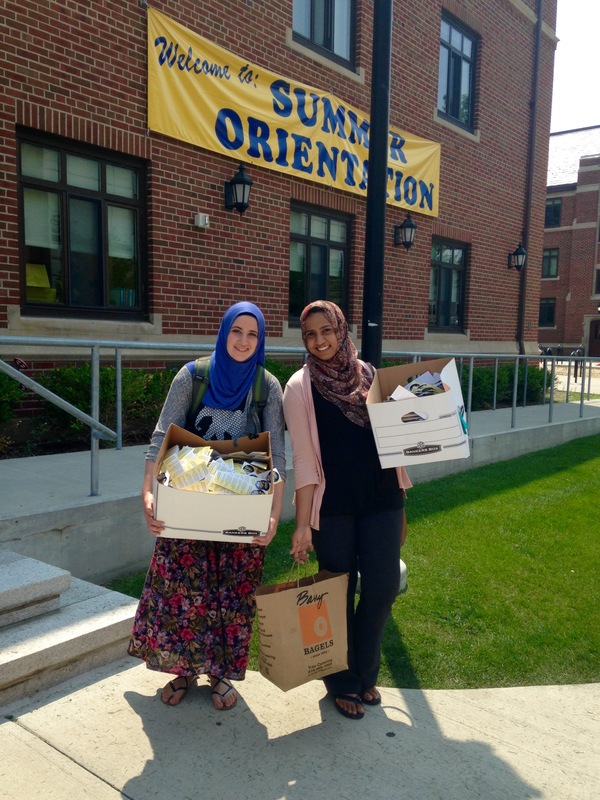 A good campus climate is safe and inclusive, which allows everyone the chance to succeed academically and socially. Having a good campus climate can shape our large school into a community because a positive climate has a sense of belonging, a sense of home. It respects and honors diversity - your identity in relation to the world around you. It is the whole community of students, staff and instructors. 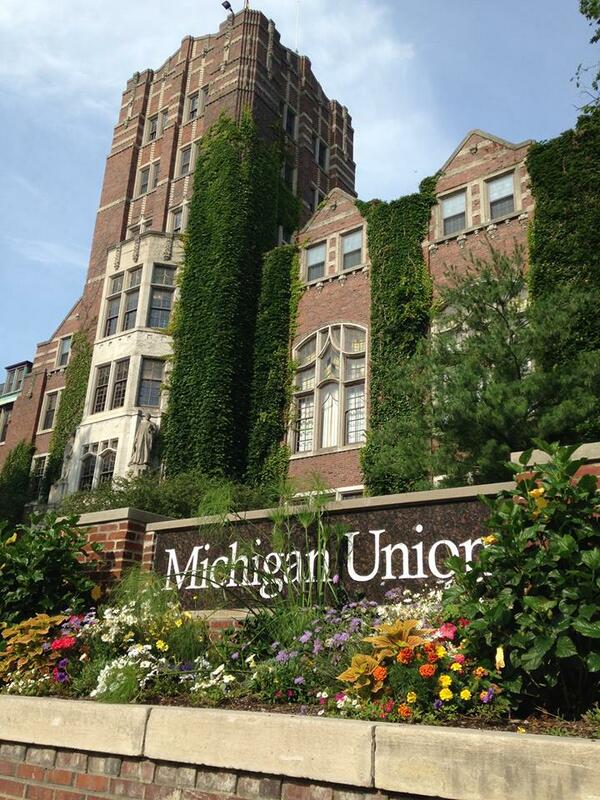 Hate is welcome at the University of Michigan! 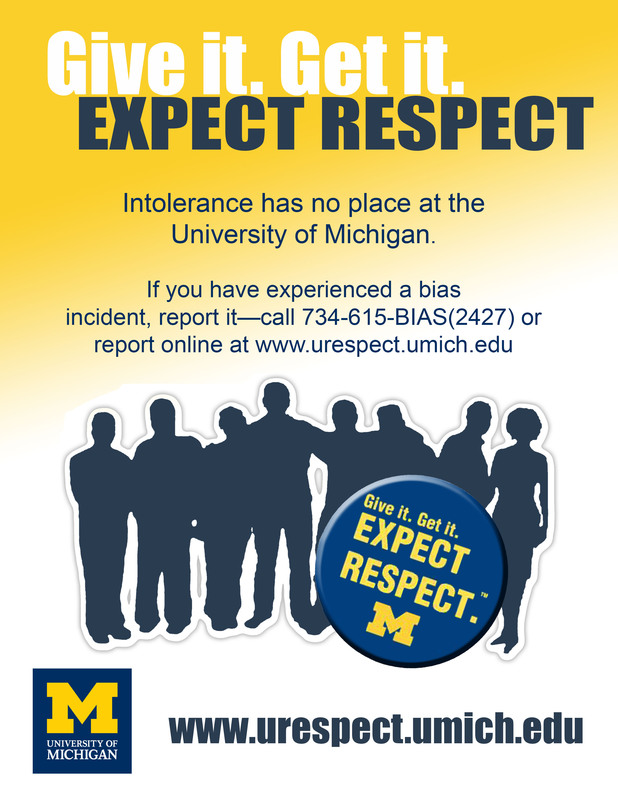 You have the opportunity to join the movement to maintain a campus climate that we can all be proud of at the University of Michigan. Visit the Expect Respect website to find out more and get involved!